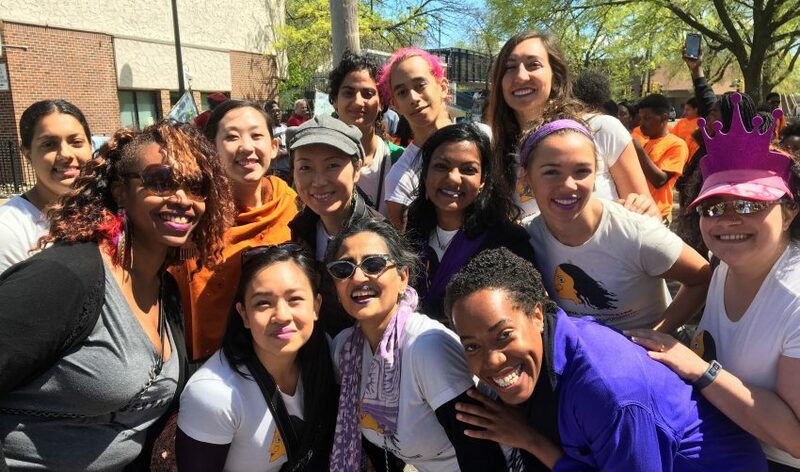 For a second consecutive year, members of Ananya Dance Theatre danced the length of the annual May Day Parade in South Minneapolis, May 1, 2016. The parade is organized and sponsored by In the Heart of the Beast Puppet and Mask Theatre. This year, the ADT dancers were joined by 33 members of the Jumping Jets Drill Team & Drum Squad, based in Saint Paul. The May Day Parade route follows Bloomington Avenue in Minneapolis and is followed by a festival in Powderhorn Park. Approximately 50,000 people attend the parade and festival.